How to quick fix MB Star C4 Xentry “No more updates” error? 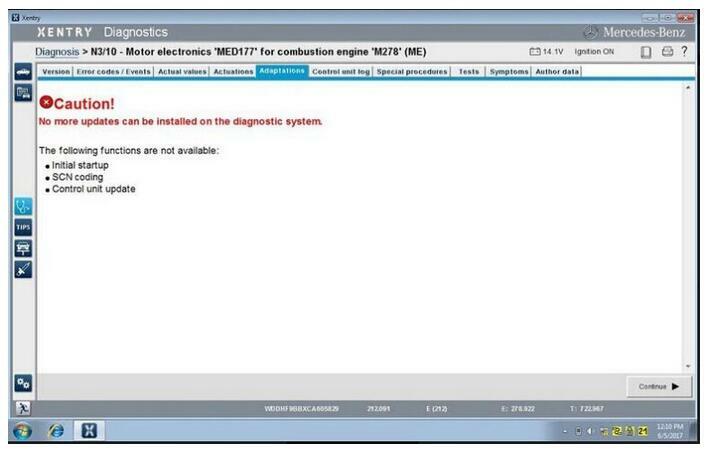 When run 09.2017 MB Star C4 Xentry or other previous versions, the error show “No more updates can be installed on the diagnostic system.”. What’s the solution? Check below quick fix method! 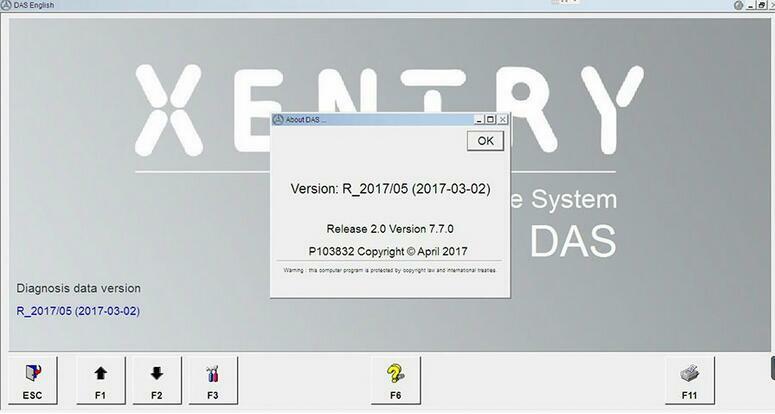 Now you can run Xenrty software and start again. 100% tested working stable with SD C4 Connect! 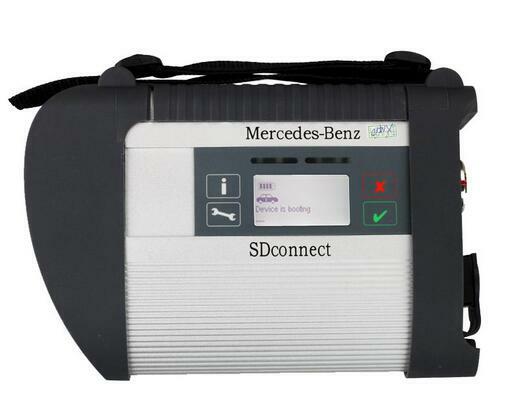 perhaps some of you have some insights on this: While we all know that the new model series like W222, W217, W205 etc have on board ethernet routed to the OBD socket, and the Benz diagnostic tool SDConnect is Ethernet/DOIP capable, the diagnosis still seem to be fully possible via D-CAN (pins 6,14 on the OBD socket). For instance, third party tools like BOSCH KTS and the BOSCH CDR (that we use for pulling crash data) do not communicate over Ethernet, they connect to several modules (well some 70% of what is in the car due to 3rd party limitations) via CAN, and they do it allright. So what is the real reason for Part-D mux not communicating with these model series, could this be just a planned “programmed obsolescence” so the old units get retired faster than they really should? Perhaps it would be possible to edit vehicle definitions so the old communication platform would still serve for these cars? I have several Part D muxes, some original, some clones, and some of them work really, really reliably. Learning that purchase of a cloned MB Star C4 that would be as reliable as this is next to impossible, i am thinking about possible workarounds. Since it does not look like actual communication architecture limitation. Anyone? There is nothing planned it is simply technology development. In time when was used PartD there was no ethernet/DoIP in the cars so was not needed have this technology in diagnostic device. Then came new technology and was build new communication hardware. For new technology is needed new technology that′s all. It is the same like car from year 2000 and car from 2015. The only thing is, that Part D is not supported in newer Xentry and Vediamo or dts monaco software. This part would work also with the cars for CAN Bus only. Well that would be true if the newer vehicles would run ONLY in the DoIP mode/lacking CanBUS. But actually they DO have ordinary can BUS and even the documentation (WIS) states, that the diagnostics still take place using the D-CAN! But guess what. We never know until we test ourselves. I did a little experiment. I have installed a VOLVO DICE (capable of being a J2534 pass thru) drivers and configured that in Xentry (using the provided ptd_select program). Result – fully running diagnostics on a CAN (YES IT IS A PASS THRU CAN because DICE can’t do DoIP) on a 2016 S-Class. I will test more interfaces and report. If that turns to be sufficiently reliable, i will stick to it and forget about other interfaces. Most of our SDconnect tools are not DoIP capable but can still do W222 and similar MB models. That is for the diagnostics tasks. 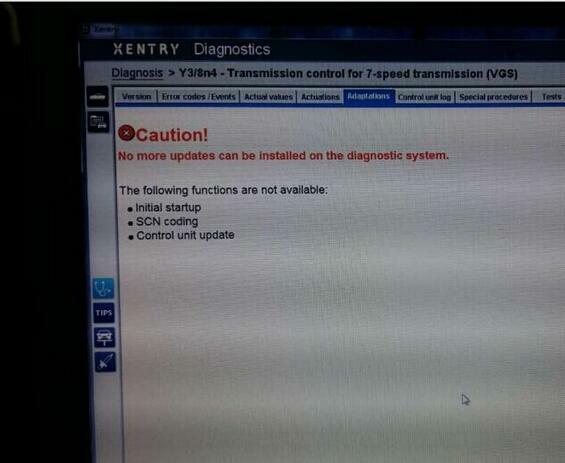 They cannot do Telematics updates or similar that run through the IP port. The issue with C3/PartD and these new cars is not CAN but support for UDS protocol. Anyway, quite happy with what i;ve found and if anyone’s interested i will give info on what tools, versions, setup etc was used to make this work. Bud, D3 supports UDS protocol. For example Sprinter 3 up to 2014 model year. Delphi CRD2 is UDS. The only reason is that MB discontinued its support. “Supports UDS” or “only UDS”? Why does C3 not talk to a 2014 Sprinter CDI control unit when it does talk with the rest of the car? How did you check C3 supporting UDS and really talking to the control unit with the UDS protocol? The control unit most likely accepts both when the 2014 only accepts UDS. The only difference PartD has no DoIP. All other ECU protocols are supported.